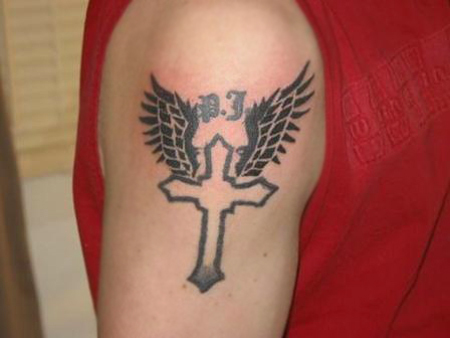 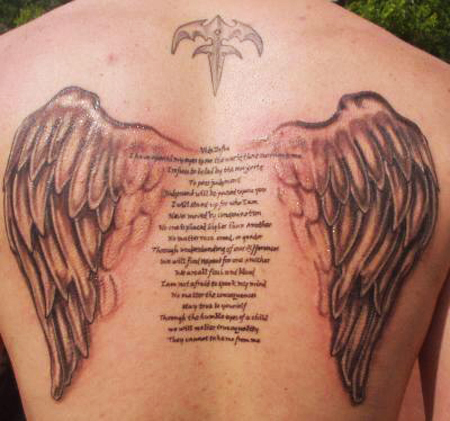 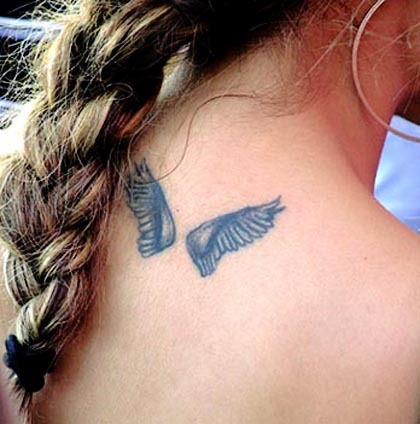 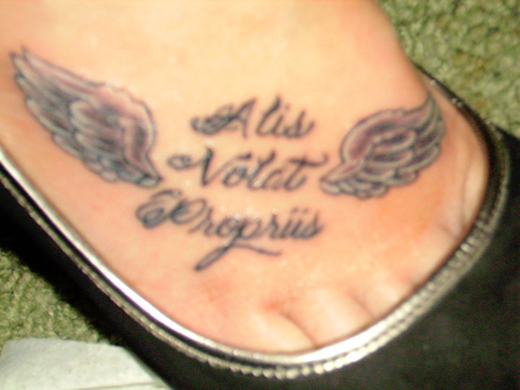 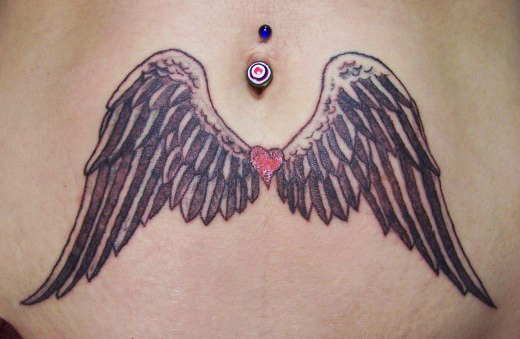 Angel wings tattoos are becoming increasingly common amongst both men and women today. 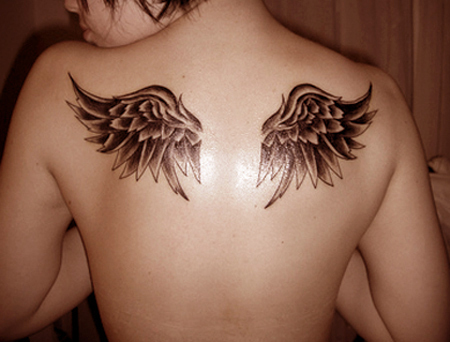 Angel wing tattoos for women have often been considered a religious or angelic symbol and are typical of supernatural beauty and pureness. 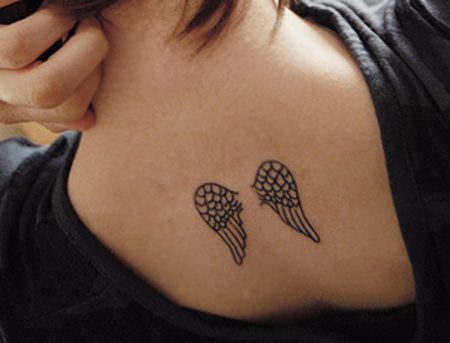 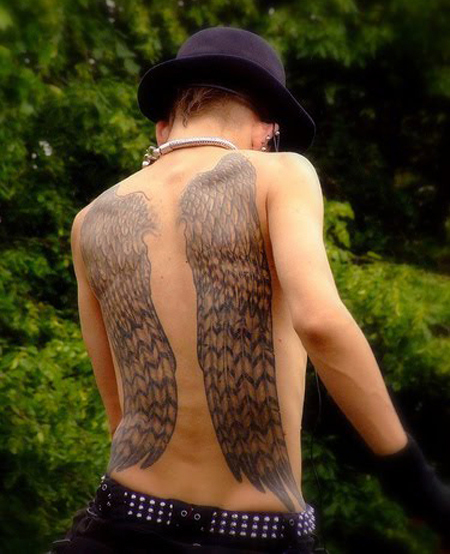 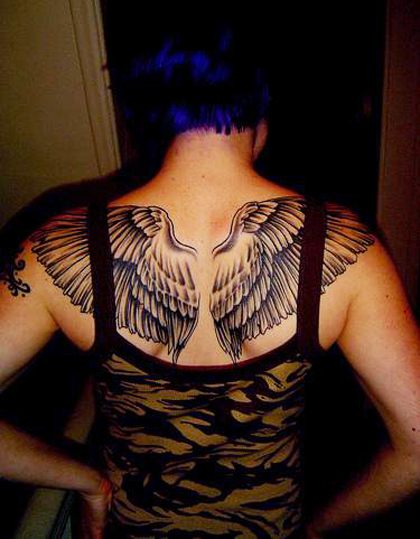 These wing tattoos are usually expressed as a symbol of piety. 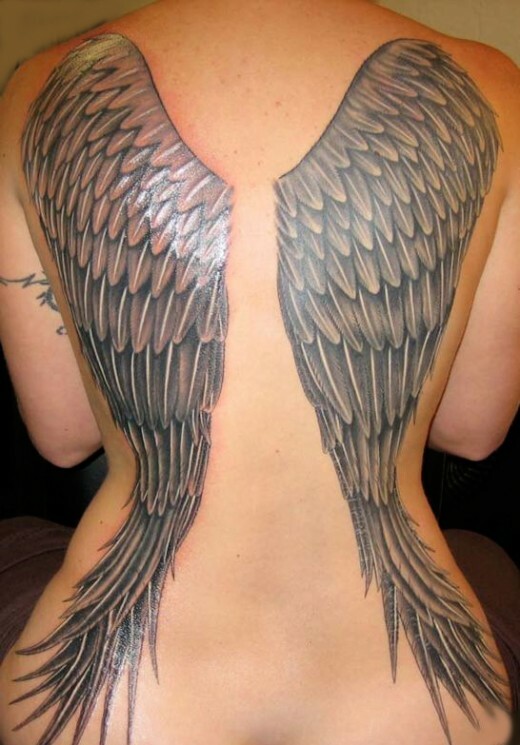 These tattoos have become very popular as many people want an image that reflects their faith or innocence, but do not want the more traditional angel or cross tattoos. 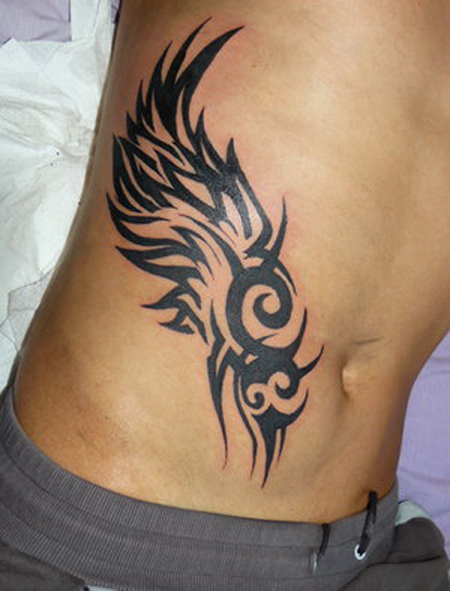 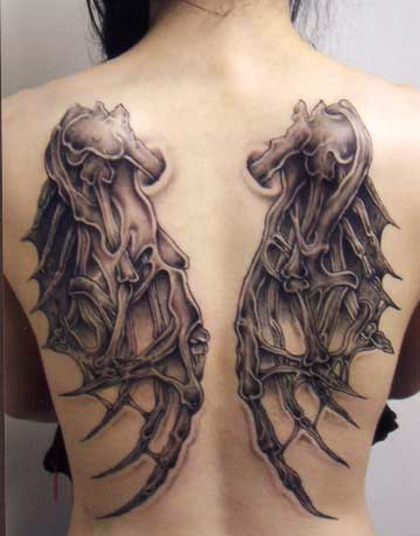 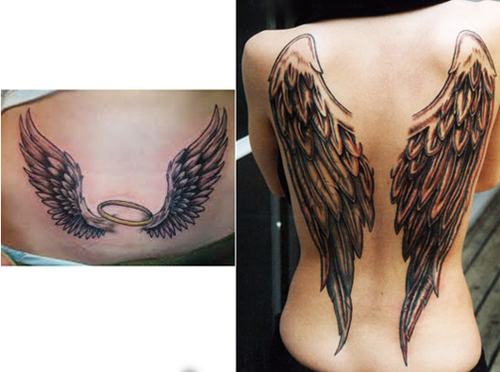 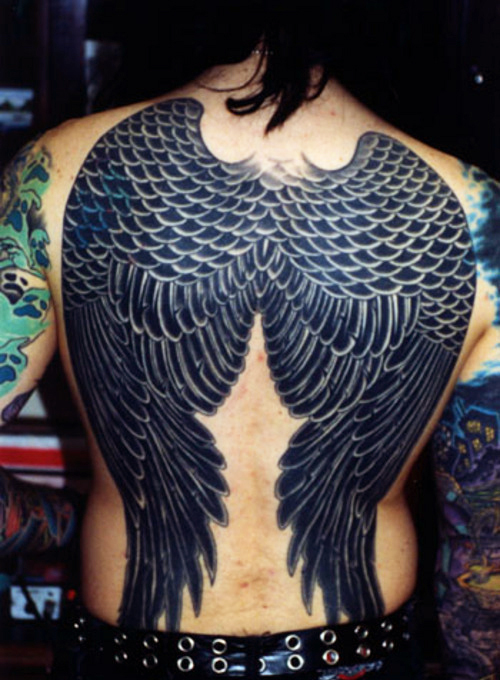 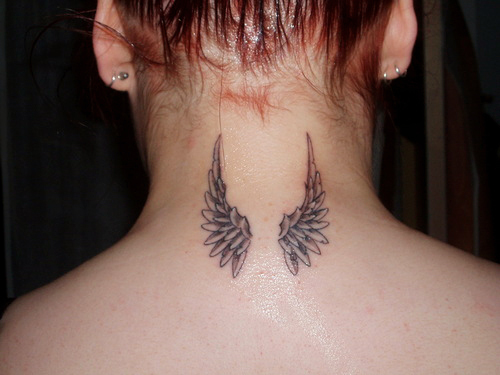 So today, we have collected 25 of the best awesome angel wings tattoo designs for your inspiration 2012. 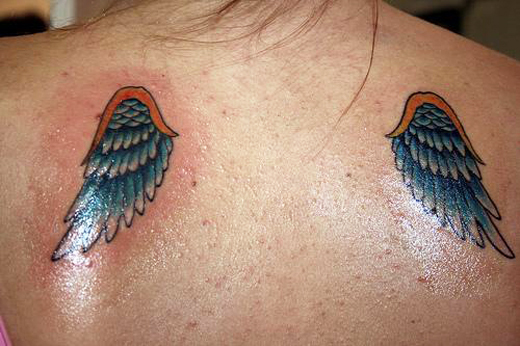 You can check the types of wing tattoo designs and what colors you like most. 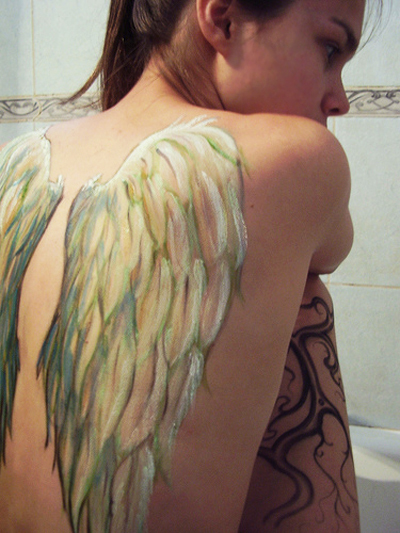 You can also go little experimental with add and add a pinch of your creativity to make the wings more traditional, realistic or contemporary. 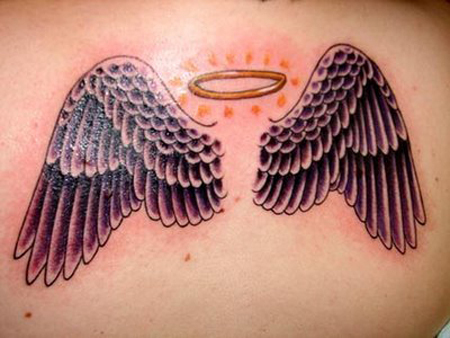 An angel wing tattoo can have many different meanings for many different people, but is very personal for each person that is adorned with an angel wing tattoo. 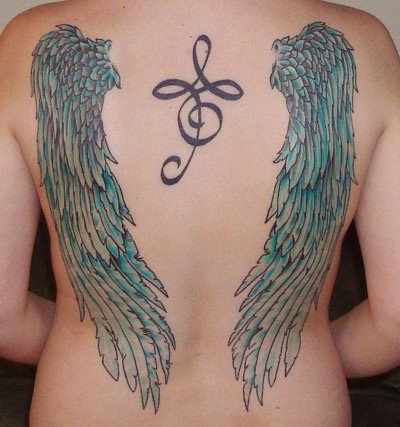 Just remember to be mindful if you decide on a wing tattoo, as they are often said to be a reflection of your inner self.